Melvin L. Hewitt, Jr., an AV preeminent-rated lawyer, has been a member of the Georgia Bar since 1985. After completing four years of active duty in the United States Navy, Mr. Hewitt attended college at Lakeland and later Kent State University in Ohio. He spent the next six years in public law enforcement serving in the uniformed patrol division, the detective bureau and undercover narcotics investigations. Mr. Hewitt left public law enforcement and entered the corporate world in 1974 where he spent the next fifteen years in the private security industry. Mr. Hewitt held positions in middle and upper management to include district, regional and operational management positions and was ultimately named president of Globe Security Systems, Inc., a publicly-held, private security firm with over 13,000 employees and over 100 offices in the United States and Europe. Mr. Hewitt left corporate America in 1989 and, along with, Harriet Isenberg, opened a private law practice in Atlanta, Georgia. Mr. Hewitt concentrates his practice in representing seriously injured people and their families in significant injury and wrongful death cases, including victims of assault, battery, sexual assault and abuse, child molestation, nursing home abuse and drunk drivers. 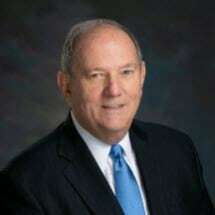 Mr. Hewitt has also challenged and advanced claims against several school districts for their negligence in maintaining a safe environment from predatory teachers molesting school children. Mr. Hewitt is on the board of directors of local (AVA); state (CVAC); and nation (NCVC/NCVBA) crime victim organizations and has been a speaker at the National Organization of Victim Advocates (NOVA), the National Center for Victims of Crime (NCVC) and the National Crime Victim Bar Association (NCVBA) and the Georgia Trial Lawyers Association (GTLA). Mr. Hewitt is a member of the Million Dollar Advocate Forum, has appeared on television and radio programs addressing issues of negligent security and civil justice for crime victims and has published several articles relating to negligent security and crime victim issues in Trial Magazine, Calendar Call and The Connection.